There is no shortage of way to keep track of records, ideas, thoughts, and more in our modern age. There are as many types of journals as there are things to write. 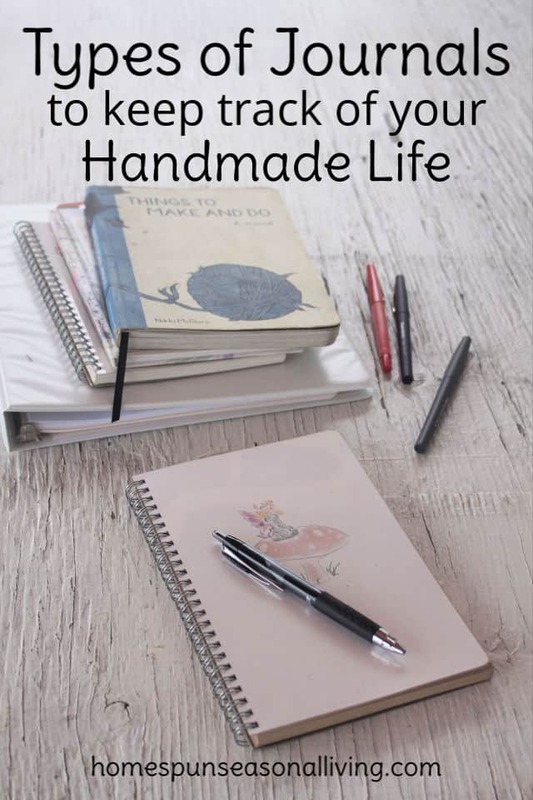 Whether we go pen & paper, digital, or some combination of the two it’s always worth keeping track of our homespun, handmade, and seasonal lives. Whether you use Google Calendar, a bullet journal, Trello, or a paper-planner this is the daily get-stuff done journal. 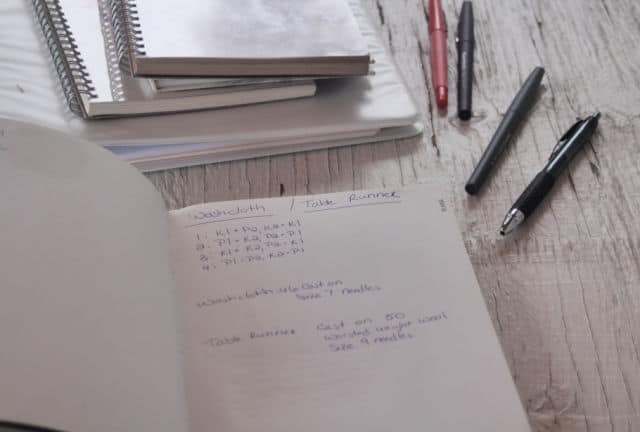 This is the to-do list, the meal-plan, and daily appointment book. Let’s be clear in that there’s no one right way to keep this daily command central. Some of us keep a running list on a clipboard. Others use elaborate art journals. Still others use their smartphones. We all have to figure out what works best for us and run with it. If you’re not the art journal type – don’t try, it’ll only waste time. If you can’t imagine planning without some color and drawings don’t go minimalist. Be true to yourself. 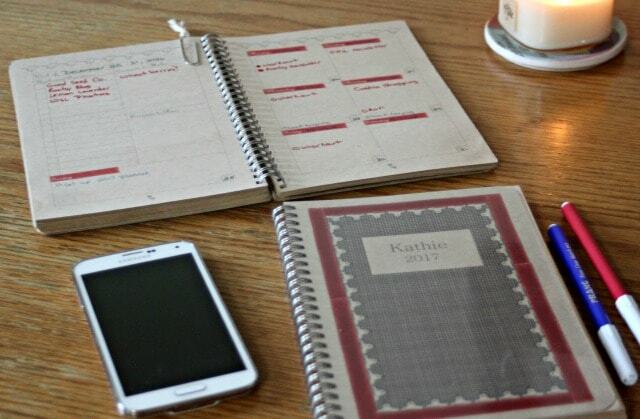 I, personally use a combination of digital and paper planner for my daily stuff. It took me a long time to figure out how to make it all work and honestly, I still sometimes have to refine or change things up. In the end, I honestly believe that having a plan is one of the best ways to have a simple, successful life (and remember success is defined individually). I use Google calendar for appointments and things like worm medications for the cats. Things that need hard reminders, those get put on the digital calendar so my phone can remind me and it doesn’t slip the mind. 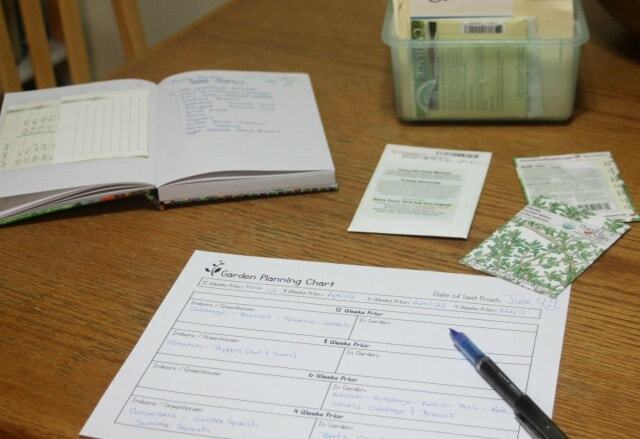 For the daily to-do list, meal plan that kind of thing, I use a paper planner. It’s easy to carry with me and jot down quick notes if needed and just generally appeals to my nature as a writer. It’s not fancy but it works for me. The garden journal is probably the single most useful gardening tool any gardener can use on a daily basis. This record of your personal garden, weather, habits, soil, and more is the a great way to see what works and what doesn’t in reality – not how some book or website says it should work. This is the place to record what seeds were planted and when. Where they started indoors or directly in the garden? When were seedlings moved from the greenhouse to the garden? Did you have to cover for an unexpected frost? How much watering is necessary (is it dry or wet this season)? All this information becomes invaluable year after year to help you see trends and how to maximize your space. Record harvests here too. This is a great way to see how different varieties grow for you and perhaps which fruits or vegetables just aren’t worth the space and care they require. This is the thing to look at each year before placing new seed orders or heading to the nursery to buy plants. The entries in this journal are likely to just be notes, short and sweet. While a person could record deeply introspective thoughts here, it’s probably best to just keep it as a garden record for easy reference later on. Want something easy to print out and put into a 3-ring binder? 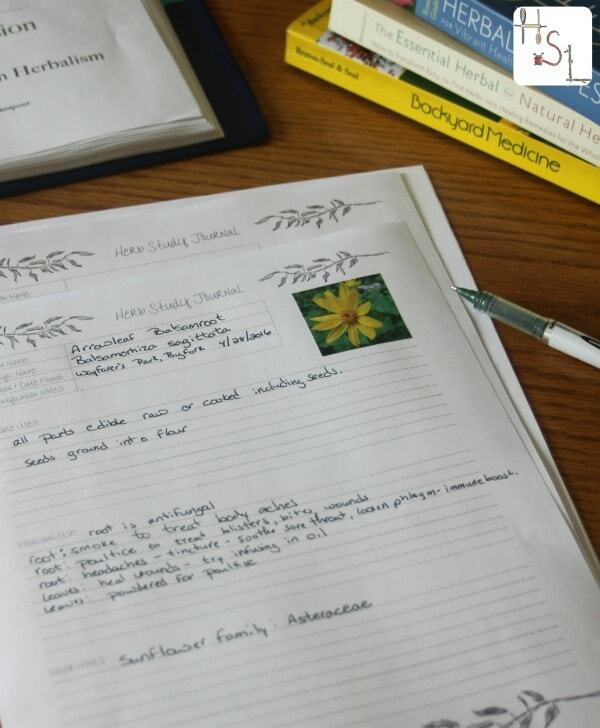 Check out The Gardening Notebook for easy guidance in keeping your garden journal. No, this isn’t your collection of recipes on Pinterest. It’s not even that binder of recipes you’ve clipped or copied from the newspaper or library books. Both those things have their place but this is something else, something more special and personal. The recipe book should be your collection of favorite recipes. The ones you turn to over and over again. The ones that you don’t necessarily recall 100% from memory. Your favorite pizza dough recipe, grandma’s sugar cookies, the creamy chicken soup, etc. 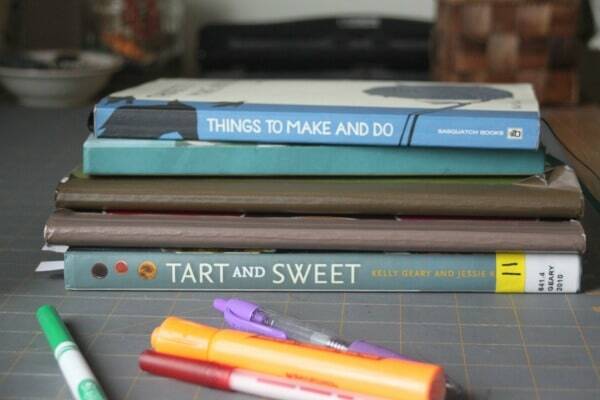 these are things to record in these books (you’ll likely have several in a life of homemade from scratch cooking). Having these recipes in collected in your own journals is easier than digging through cookbooks or Pinterest later. It’s also a great way to record notes or changes you make as the years go by. To make this book most useful: keep a few pages in the beginning of each book as an index of sorts (oatmeal pancakes pg 17 for example). Alternatively, use tabs on the pages for easy locating. 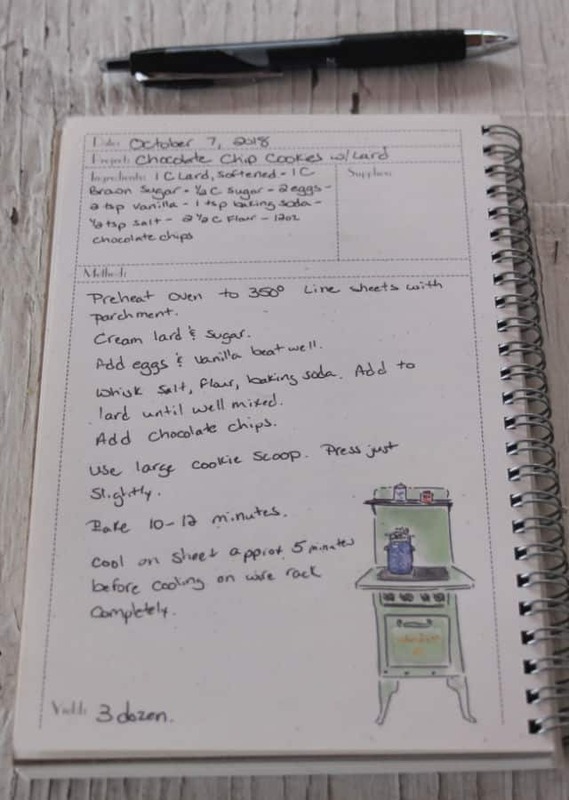 If you’re keeping your recipes in some form of digital record, use headings and a table of contents for quick reference. Again, this isn’t a collection on Pinterest or a binder of clippings. This is the book of favorite crafts or tips that are used often. Knitters might keep track of favorite patterns here. Painters might keep track of favorite color blends. I also use my craft book to keep track of favorite body product recipes. The deodorant cream, my favorite itchy skin balm, etc. These could also cross-over easily into the herbal record but do what works for you. And just like in the recipe, use an index or tabs for easy referencing. If you’re making tinctures, herbal tea blends, healing salves, and more. It’s helpful to keep track of what you did and how it worked. That’s what this particular journal comes in handy. Record what types of oils were used, quantities of herbs, beeswax to oil ratio, etc. It’s so much easier to have it written down then try to recreate later. As you use your herbal creations, record the doses and their effectiveness. Yes, honeysuckle glycerite works for my sore throats but perhaps for you oxymel is more powerful. This is important so that we don’t waste time and space creating things we don’t need. This is also a great place to keep track of foraged herbs – where were they found? What time of year? I then take that information and put it in my daily planner (or on Google Calendar) as a reminder for next year. This way, in the busyness of life I don’t miss the short window of time the violets are available in that one very sweet spot in a local park for example. Again, use an index or tabs for to reference what you need quickly. If you're looking for an in-depth herbal education and resource, be sure to check out the Herbal Academy's Materia Medica course. This is the place to jot down innermost thoughts and feelings. Use journal prompts or not as you feel led. This is the book that you might most want to keep to yourself whereas the previous ones might be shared with other family members. I, personally, am not very introspective. I don’t keep a diary as such. I do, however; like to keep notes of fun things or big life events. I like to keep track of how we’re spending our time in various seasons and more. I use my simple seasonal journal for this because it contains some prompts but also gives me plenty of space for thinking and planning. I also glue and tape little mementos in this journal. I’m not a scrapbooker but I do like to hold onto somethings and this is a great place to do that. This particular style of journal isn’t as popular in our modern times but it can still be valuable. 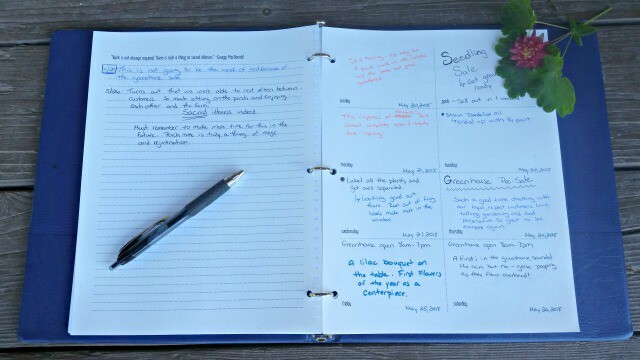 Think of a commonplace book as your school notebook. This is the place to record quotes, lessons, and other tidbits picked up while reading books or even watching videos online. It’s simply a place to record the things we don’t want to forget for one reason or another. While there are no shortages of types of journals we can buy, I suggest keeping it simple and frugal. Those beautiful leather journals are gorgeous but I’ve seen too many people saving them for something special rather than just using them. 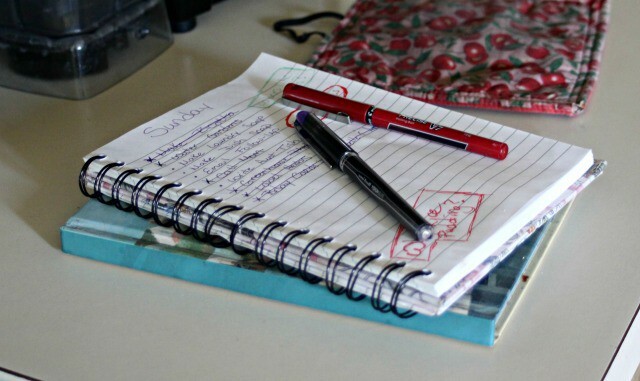 Use 3-ring binders, with notebook paper for ease if desired. This can be difficult to carry around as drawback, but for the journal that mostly stays home, this can be ideal. Composition books tend to be inexpensive and endlessly useful. These are often some of my favorite journals. There are no shortage of fun journals and printables online. Both free and for sale. These can be great but again, remember it’s only worth it if they’ll actually be used. Don’t forget to hit thrift shops and yard sales. I often find nice blank books for a bargain in both places. I pick them and have a stack ready when I need something new. The other great thing about keeping the books frugal is that you can take it into the kitchen or garden and not fret about some dirt or occasional splatter of grease making a mess. In our modern age, we have a plethora of digital choices. I use some myself. It is important to remember, however; that the power sometimes goes out and it might be handy to have some things available offline. Use things like Google Calendar for appointments and tasks. Google drive for keeping track of projects and recipes (it’s easily searchable). Trello and Asana work for to-do lists, meal plans, and more. Evernote is an ever population choice too. Again, experiment and find which program works best for how your brain works. 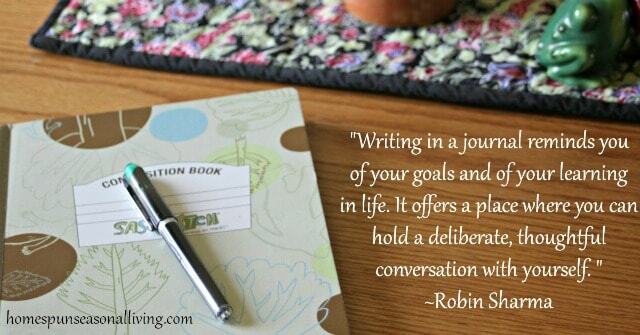 The many types of journals helps us focus on purposeful living. I know it seems like a ridiculous amount of information to store and keep. The thing is none of it takes very long and at some point it all comes in handy. I use all of these too! I just started my herbal apothecary journal (from a small book my husband made for me), and I wish I used my garden journal better. I have two ways of keeping track of recipes-one is a binder where I keep printed recipes. The second is a simple spiral bound notebook that contains all my canning notes and odds and ends cooking notes such as an experimental recipes. I combine my everyday journal/ commonplace book all in one in a bullet journal style book. Lots of books, but it is so handy to keep track of things and be able to refer to them. I rely on the Paprika app to keep my kitchen organized. All my recipes are in there – yes, it was a pain at first to retype them from beloved cookbooks but now everything is easy to find. It even makes my grocery list for me, and I can refer back to my menu plans from years past.